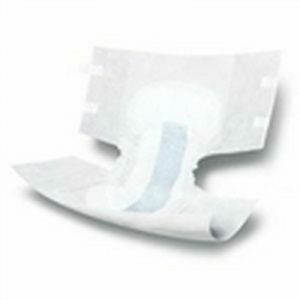 Medline MoliCare¨ Adult Disposable Super Plus Briefs Overnight Use offers superior overnight protection along with increased capacity and comfort. The brief contains padded panels to ensure superior comfort without hindering mobility. It has breathable side panels to ensure good airflow for skin care and a comfort, stretch poly backing to ensure comfortable movement. Velvet-soft, breathable side panels for increased airflow and comfort. Increased capacity for confidence and skin protection. Antileak cuffs for maximum containment. Oversized design eliminates regular and x-large sizes. Perfect-fit stripe for a great fit every time. 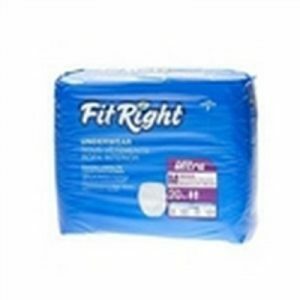 Three-part core with curly fiber offers ideal skin dryness, helps control odor and buffers urine pH. Wetness and size indicator disappears when wet. Comfort-stretch, poly backing conforms to the body and allows for freedom of movement. Dual-tape closures allow for multiple refastening. Padded panels for added comfort. 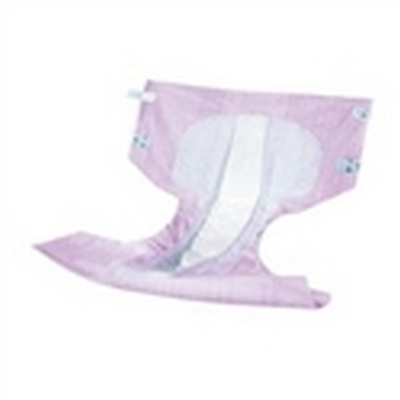 High-capacity core holds 1200 cc more than MoliCare¨ Super briefs. 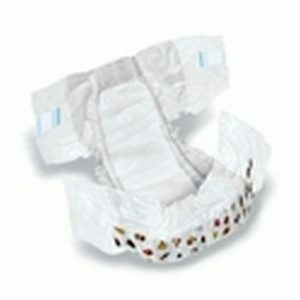 DryTime Baby Diapers 6 Over 35 lbs.